This year, a major focus for Cal Poly Cycling's road conglomerate was the 2018 Western Collegiate Cycling Conference (WCCC) road season. With a calendar that included races up and down the coast of California, the WCCC brought plenty of competition. 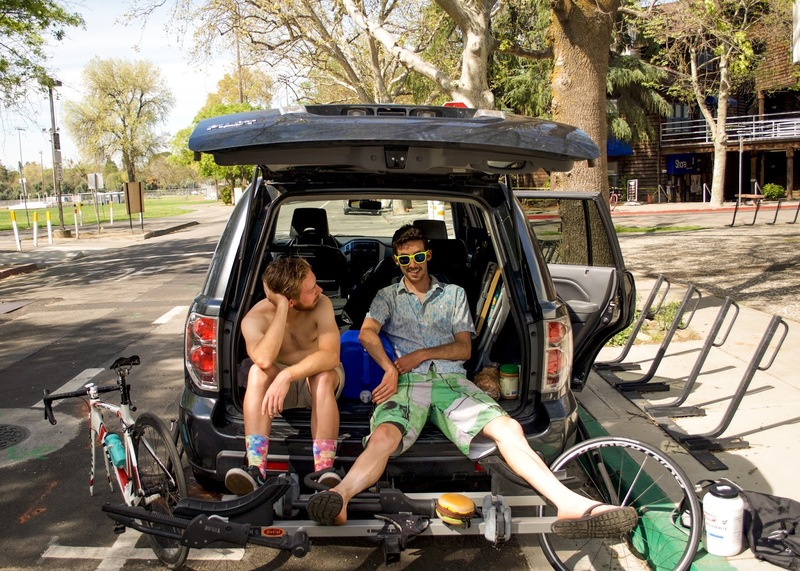 Here, Brad Wiggs and Colin Patterson, members of Cal Poly Cycling's category A squad, relax after a brutal criterium in Davis, California. After a season of racing, Colin Patterson claimed the WCCC individual omnium jersey, a major accomplishment. Now, for the team, it's time for nationals in Grand Junction, Colorado.